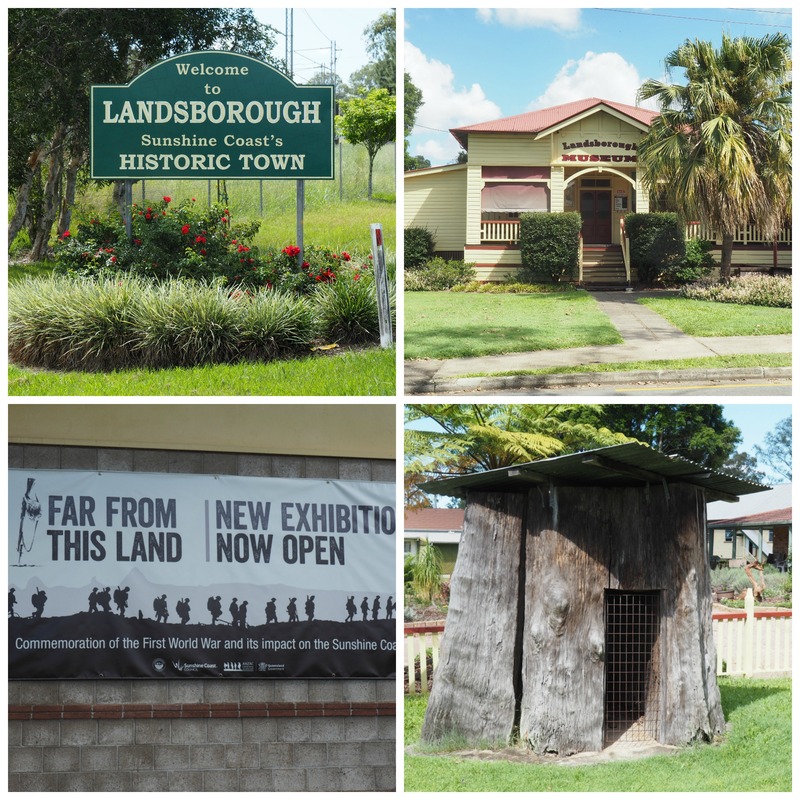 Landsborough Museum has featured an exhibition that focused on the impact on the Sunshine Coast of World War I, through the stories family letters, postcards, film and a range of objects from private and public collections. It is such an interesting place that one could "get lost" for a day exploring the wonderful collection of which the Society is very proud. The Museum is run by volunteers from the Landsborough and District Historical Society, formed in 1973. As well as a collection of over 10,000 items of interest, the Society aims "to collect, research, conserve, interpret and exhibit the artefacts, memorabilia, documents, photographs and stories of indigenous and non-indigenous peoples whose heritage can be linked to the region." 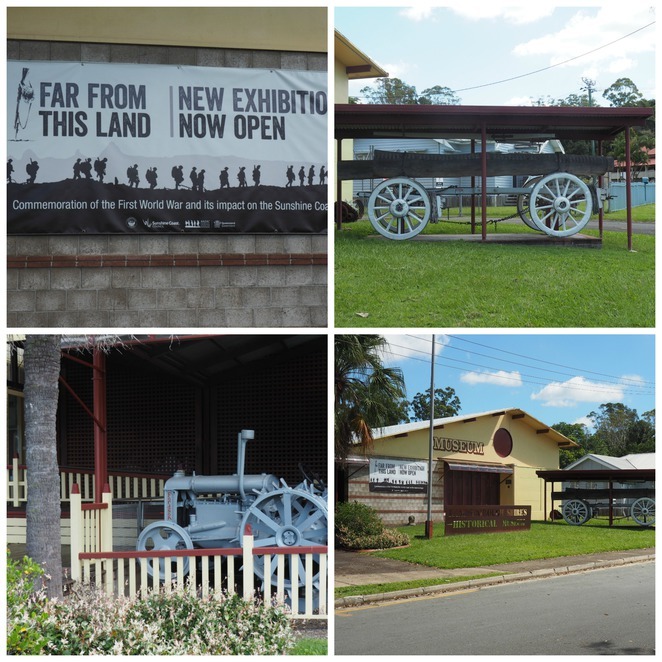 The Museum, housed in what was the original Landsborough Shire Council's Chambers which was designed and built in 1924, and built with local timbers, is at 4 Maleny Street, Landsborough and is open from Wednesday to Friday, and on Sundays from 9 am to 3 pm. If you don't have a car, or don't wish to drive, it is only a short walk from the Landsborough Train Station, and it would be a great day out - with plenty of shops, cafe's and the hotel in close vicinity. A great day out without having to worry about the traffic on the Bruce Highway/M1!